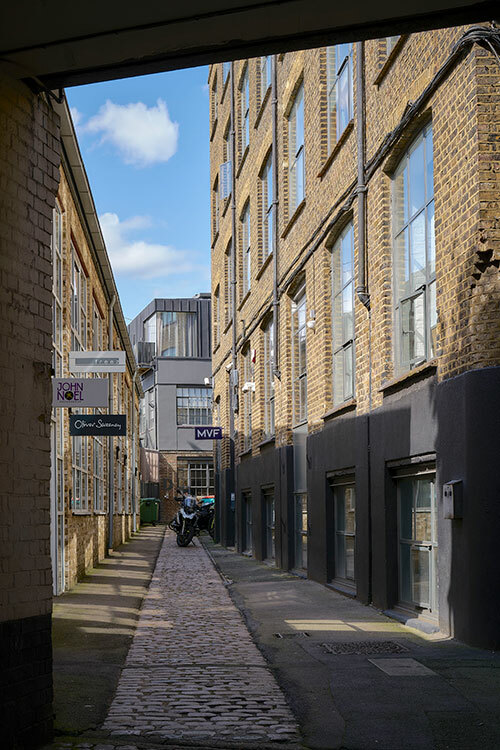 Originally built in the late 19th century as a piano/ organ factory, the Imperial Works building had already been converted to office use when Coffey Architects got involved. Tired, outdated and with poor internal circulation, the building was not performing to its full potential. The client asked us to increase the floor area, restore the worn-out building fabric, and improve horizontal and vertical access. 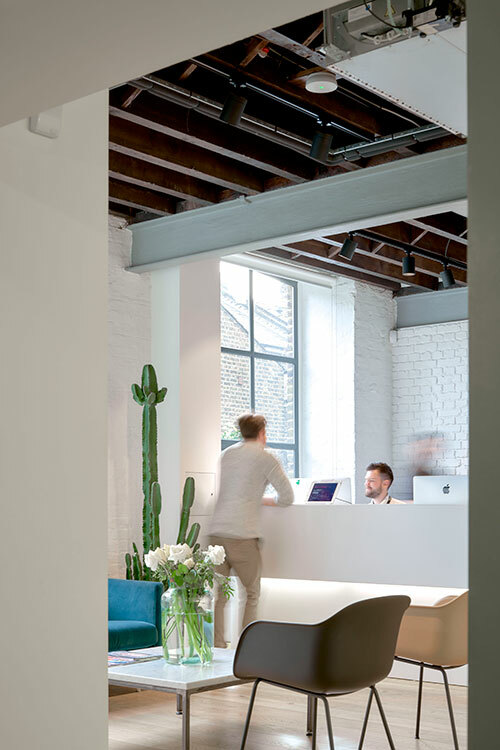 Working around an in-situ tenant and to a limited budget, we delivered a modern, comfortable, vibrant office environment and rooftop extension on time. 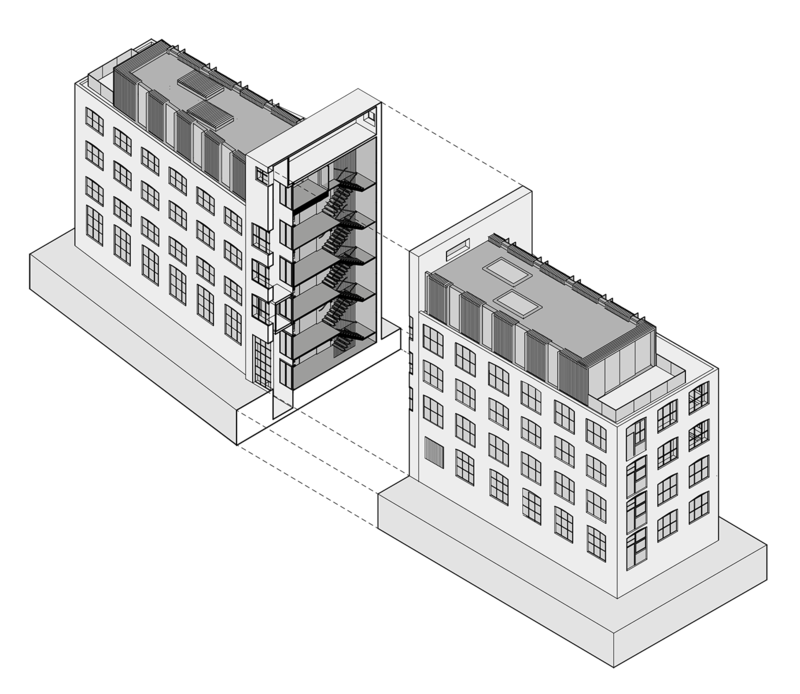 Whereas previous attempts had failed, our proposals for a discrete roof extension won planning permission, unlocking precious extra internal area to seal the project’s commercial viability. A new occupier took a 15-year lease on the building during the design stage, establishing the building as their headquarters. The client sold the building before completion for a healthy profit. The 1,950 m2 GIA project combines whole-life robustness in the choice of hard-wearing finishes and energy-efficient interventions for a delightful architectural end result. 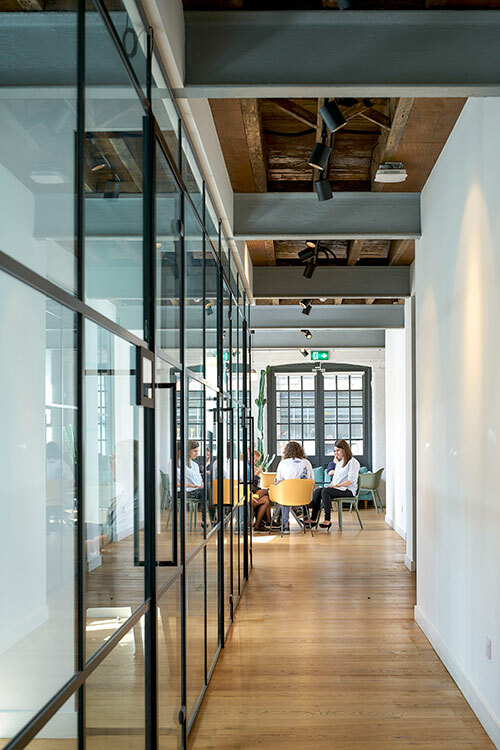 The building is now a contemporary office space with clever plays of daylight from new glazing that frame fantastic views of the London skyline. 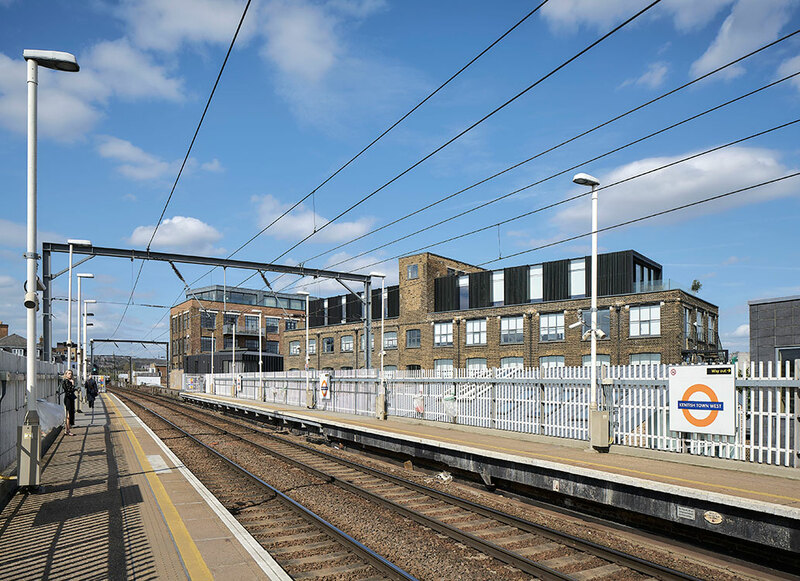 Set in a Conservation Area, the robust structure of solid masonry construction and steel frame with cast iron columns surrounded by low rise residential properties made demolition an unrealistic option - instead the building was carefully refurbished and valuable area was added at the top. Additionally a new staircase adds improved access while providing a much more exciting and inviting entrance experience. The alley provides an elegant and unique entrance to the building. 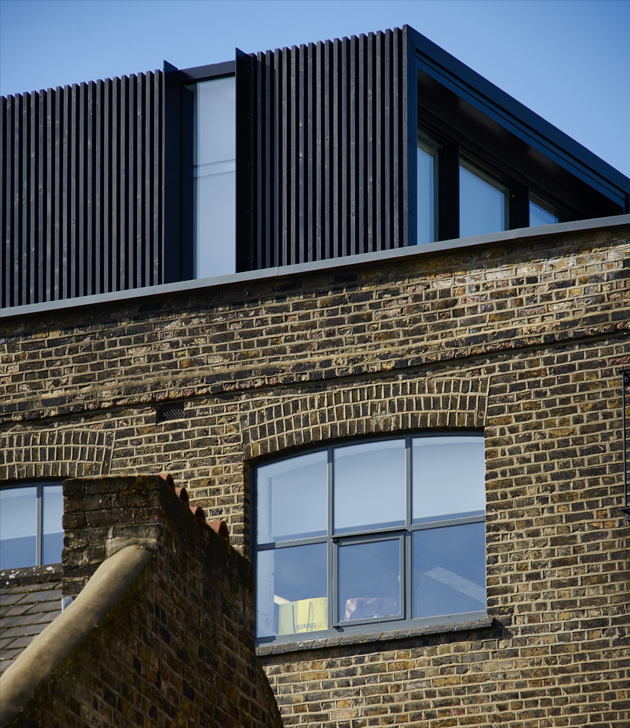 The discrete but crisply detailed roof addition is clad in black charred timber that complements the existing brick. The removal of the existing concrete roof considerably reduced dead weight on the walls and columns and thus allowed for a timber framed roof extension to be added without the need for strengthening the existing structure. 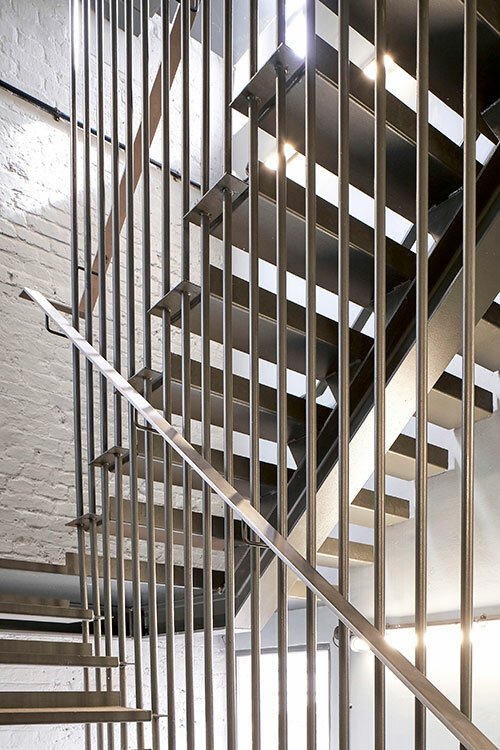 The new steel stair was prefabricated off-site for quick installation. 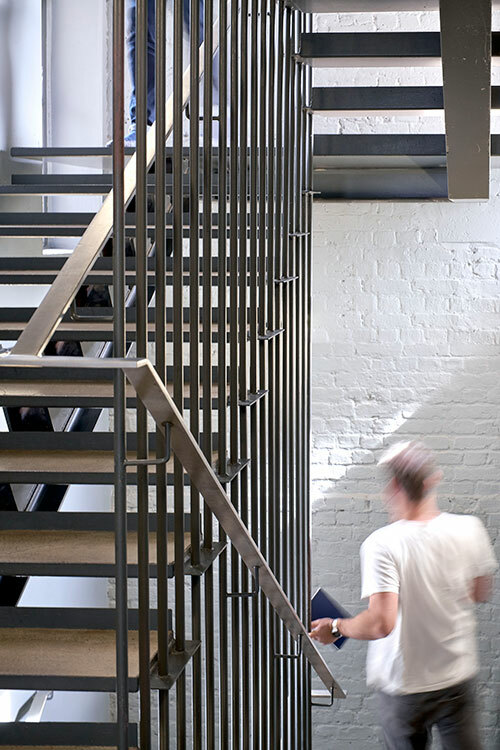 Referencing the strings inside a piano, and thus the building's rich history, the steel rods between the stair flights, along with the open treads, allow light to penetrate the space. A new, partially glazed lift runs next to the staircase improving the horizontal and introducing vertical step-free access throughout the building. 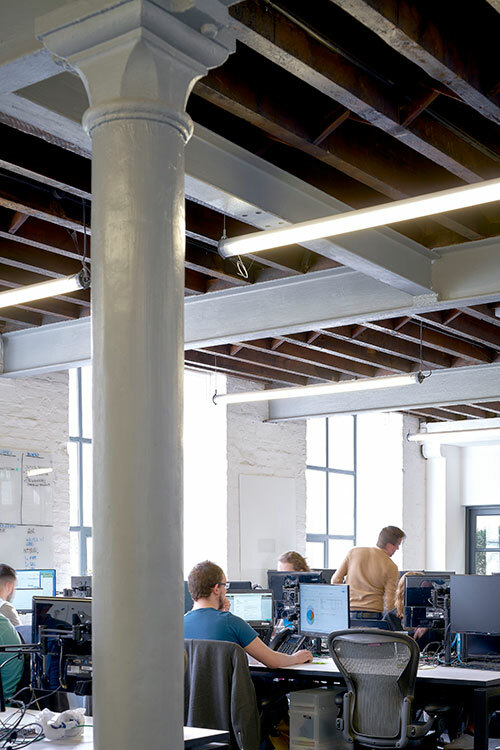 Fundamental to our refurbishment strategy was maintaining, uncovering and restoring the most attractive elements of the historic building, cast iron columns and beams, timber joisted floors, warehouse doors and brickwork detail. To this we added similarly robust and self-finished materials within the interior and new extension. 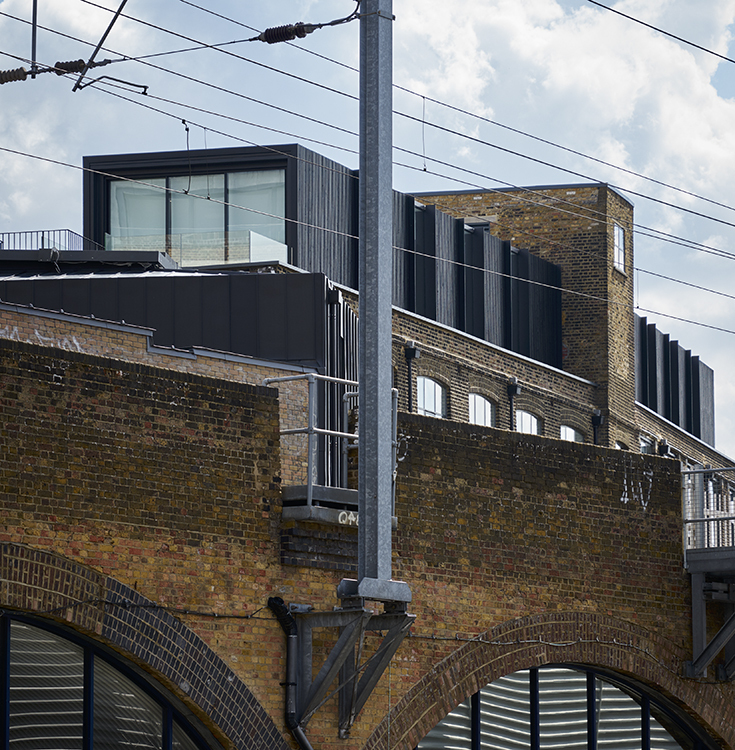 The warehouse-style office is full of character that might have lacked in a new-build project. 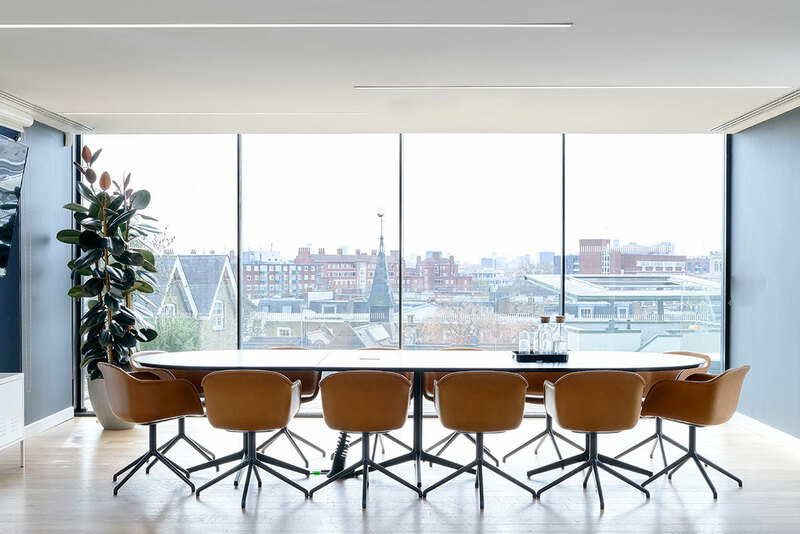 The exclusive ‘penthouse’ top floors with the best views have not been snapped up by the company executives, but house a bar, meeting rooms and provide the setting for staff morning yoga classes.